If it drops to the floor - just pick it up and re-use - virtually unbreakable! 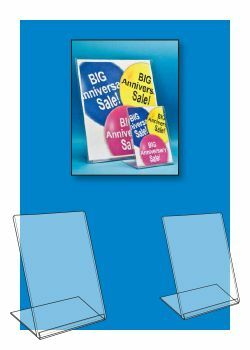 Minimum quantity for "4" W x 6" H Slanted Style Easel Sign Holder, ASE-46" is 5. 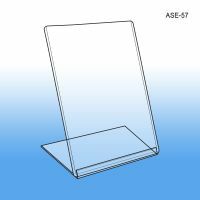 Minimum quantity for "5" W x 7" H Slanted Style Easel Sign Holder, ASE-57" is 5. 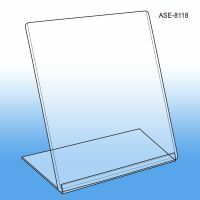 Minimum quantity for "8½" W x 11" H Slanted Style Easel Sign Holder, ASE-8118" is 5.